Note 1: Like Beat ‘Em Ups? Check out my reviews of Double Dragon II, Sengoku 3, D & D, Bare Knuckle III, Crows: The Battle Action, Warriors of Fate, Nekketsu Oyako, Final Fight Guy, Final Fight 2, and Mighty Final Fight! Note 2: This game was played on a U.S. Sega Saturn. Because the game is a Japanese game, a 4M Action Replay cartridge was inserted into the Saturn’s cartridge slot, allowing games from all regions to play on the system. The Saturn was connected to a 32-inch HD tv using S-video cables. This game is one of only a handful of Beat ‘Em Ups for the Saturn. 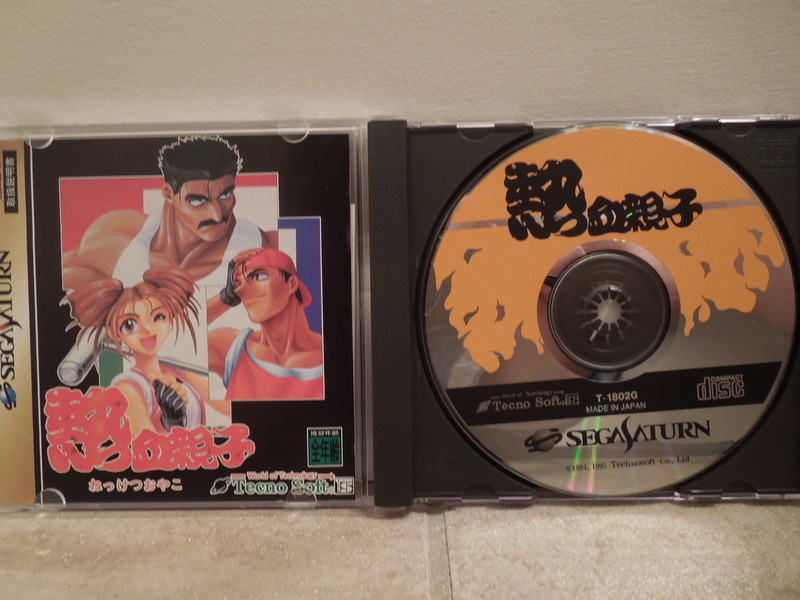 Quick History: Nekketsu Oyako, or Hot Blooded Family, is a Beat ‘Em Up that was released for the Japanese Sega Saturn home console in 1995. 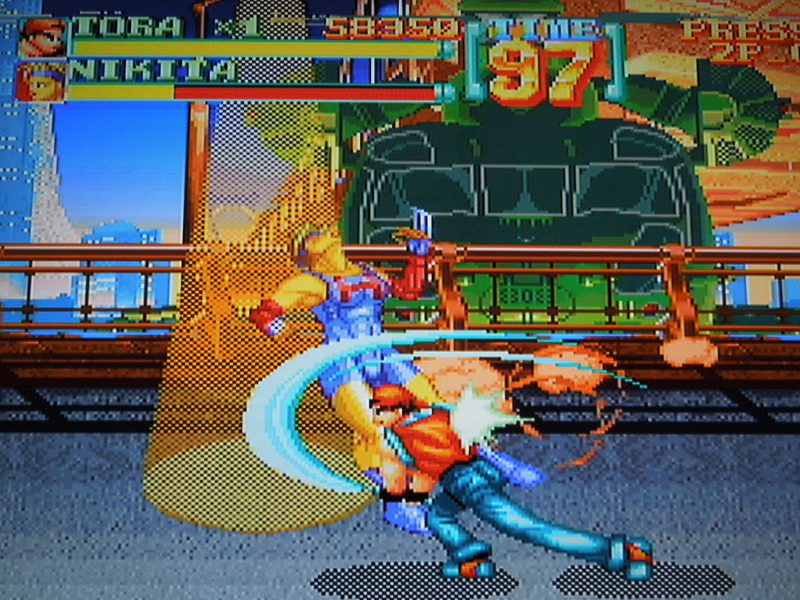 The previous year, 1994, saw the release of Nekketsu Oyako for the Japanese Playstation, and the Saturn game was essentially a port of that game, albeit with a few minor changes. Despite the word ‘Nekketsu’ in the title, this game is not a game in the Kunio-kun series. Story: I cannot read Japanese, but from what I can gather, a father named Rando, along with his son, Tora, and daughter, Rio, must rescue his wife and mother to his children. You’ll have to fight through 5 stages, each with different areas, in order to rescue her. Stages range from a bridge, to the insides of a giant whale (seriously), to an amusement park, to an underground mine. The final boss of the game, Herograw, is as bizarre as some of the stages you fight in – after you best him physically, he transforms into some type of sadistic super hero for you to fight once again! Gameplay: Choose from among the 3 family members. Rando, the father, is slow but strong (think ‘Haggar’ from Final Fight – he even looks like him!) and fights bare-handed. Rio, the daughter, is quick but weak, and she carries a croquet mallet at all times to use on enemies). Tora, the son, is average in strength and speed, and seems to have some type of ‘energy saber’ that he uses at certain times. 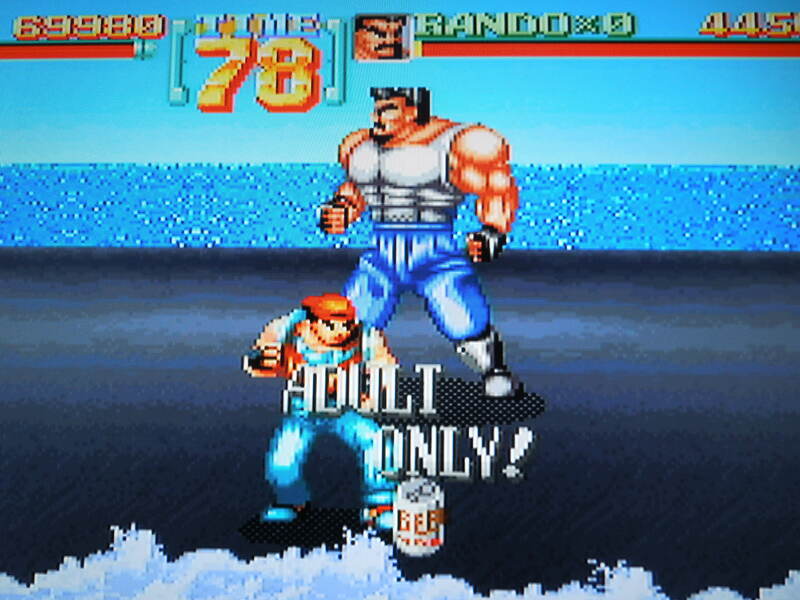 Like most games in the Beat ‘Em Up genre, you walk to the right, beating up everyone and everything in sight. Bosses await you at the end of each stage, including a gauntlet of previously defeated bosses in the final stage before you face the game’s true antagonist, Herograw. Rio fights with an obscure weapon – a croquet mallet. Control: A punches – pressing A rapidly performs a combo. B jumps – pressing B again while in the air makes you double-jump. C performs your character’s Super Move (tornado, explosion, or light-blast depending on your character), which knocks down all enemies, yet takes a bit of your health bar off. R will cause your character to dash, although you can also double tap the control stick to achieve this. Tora can dash non-stop, while Rando and Rio will only dash briefly. When dashing, pressing A causes your character to do a running attack, like a running knee (Tora). After jumping, pressing A will cause your character to do a jump kick. Pressing A + Down while in the air will cause your character to knee drop (Tora), body press (Rando) or pogo (Rio). For Rio, jumping, then pressing A + Down will cause her to do a ‘pogo-stick’ attack, and she can bounce off an enemy’s head several times for maximum damage, or even bounce back and forth between enemies – Tora can do a similiar move as well. For all characters, quickly rolling the control pad in a toward, down, toward motion then pressing A will cause a special attack – a croquet mallet barrage for Rio, an energy saber barrage for Tora, and a super uppercut for Rando. When close to an enemy, you will automatically grab him or her. Pressing A will cause your character to punch the grabbed enemy, and pressing A + right or left will throw the enemy. Additionally, Rando can jump with an enemy in hand by pressing B, then pile drive him or her from mid-air by pressing A. Sound and Music: Neither are particularly great. The music is rather bland, and the sound effects, while decent enough, should have been a lot better on a powerful system like the Sega Saturn. 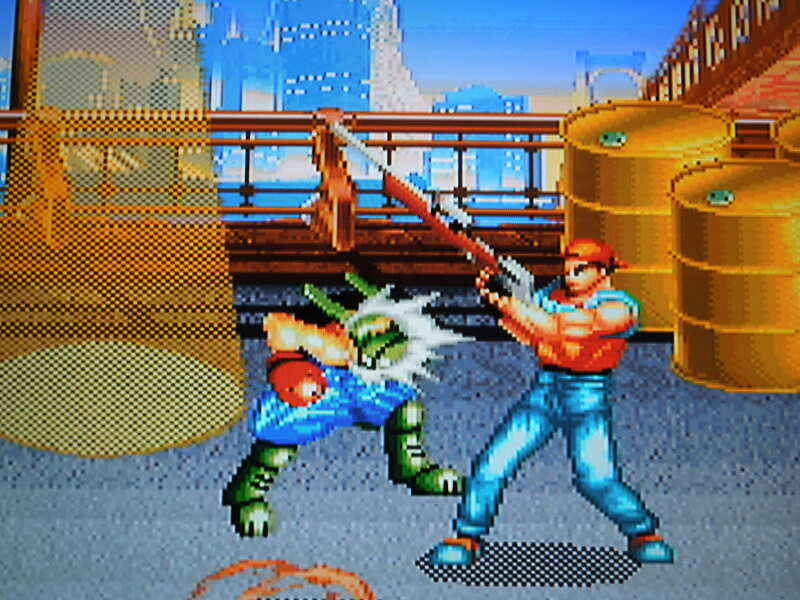 The sound effects for pummeling hordes of thugs works, but isn’t anywhere close to as good as the face-crushing sound effects in a similiar game like Final Fight. Not so fast there, junior. Language Barrier? No and Yes. There is nothing here to prevent you from enjoying the game. The character names and enemy names are all in English. Unfortunately, the story that plays when you beat the game is in Japanese, as is the Options menu. The game’s difficulty setting (the top item in the Options menu), like most games, is pre-set to Normal, but you can move the symbol left once for Easy, right once for Hard, or right twice for Expert. Luckily, there are numbers in place for your set number of lives, so it’s easy to move from the original setting of 2 lives to up to 4 lives per credit. Items: As you fight through the game, you’ll break open barrels to pick up health items, including chicken, burgers, pizza, milk, and beer. Comically, if you try to pick up the beer food item with Tora or Rio, the words ‘Adult Only!’ pop up, and you can’t have it! Different food items replenish a different amount of your health. You also pick up other items that add points to your score. These include yen, toy airplanes, teddy bears, and even a Sega Saturn console! These are important to pick up, because at 200,000 points you’ll receive an extra life, and then again at 700,000. You have to be careful not to pick up items when you’re fighting enemies. Because the ‘pick up’ button is the same as the ‘punch’ button, your character may accidentally bend down to grab a pizza when you meant to punch the enemy, and you’ll be vulnerable to attack. 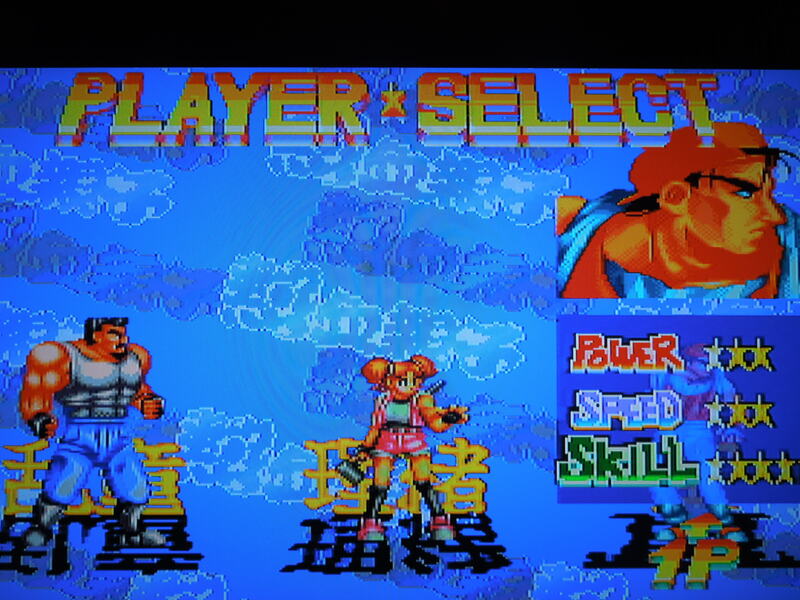 Not a lot of Beat ‘Em Ups included guns – this one did, though. Weapons: You pick up guns, bombs, razor-sharp discs, and knives in this game – all from breaking barrels open. You throw or shoot all of these weapons. As far as guns go, there are 3: machine guns, rifles, and a bazooka. Tora and Rio can’t pick up the bazooka, which is understandable, I guess, because they’re smaller. But, for some reason, Rando cannot pick up and use rifles or the machine gun – only the bazooka. I guess the game developers wanted to keep things balanced. You get approximately 5 shots with each gun. The razor-sharp disc is the best weapon however, as it comes back to you when you release it, and can hit enemies multiple times in a single throw. So, where can I find this game? Ebay. You’ll probably have to buy it from Japan. Remember, it was also released on the Playstation, but I believe you’d have to have a Japanese Playstation in order for the game to work. You can also download the rom (I believe there’s even a translated one) for play on an emulator on your computer. Each character has their own strengths and weaknesses, like in most of these type of games. Conclusion: The Sega Saturn was sadly lacking in Beat ‘Em Ups, and there are only a small handful that were made for the system. This game is the defintion of ‘average.’ The control is fine; everything works the way it should. A lot of enemies can appear on screen at one time, which is awesome, although ‘slow-down’ occurs from time to time. You have 4 different diffculty levels, and Hard and Expert are justly named. You can’t change characters once you lose all your lives and continue (you have 4 continues), so whoever you start with, they’re in it to win it. The sound and music are sorely lacking – many Super Nintendo games, which were made for a less powerful console, sound a lot better than this game. The graphics also, while there’s nothing wrong with them, could have looked a lot better considering what the Sega Saturn can handle. Other Saturn Beat ‘Em Ups, like Dungeons and Dragons: Tower of Doom, Warriors of Fate II, or Crows: The Battle Action look much better than this one. If it weren’t for the multitude of enemies on screen, this game would look like a SNES game. 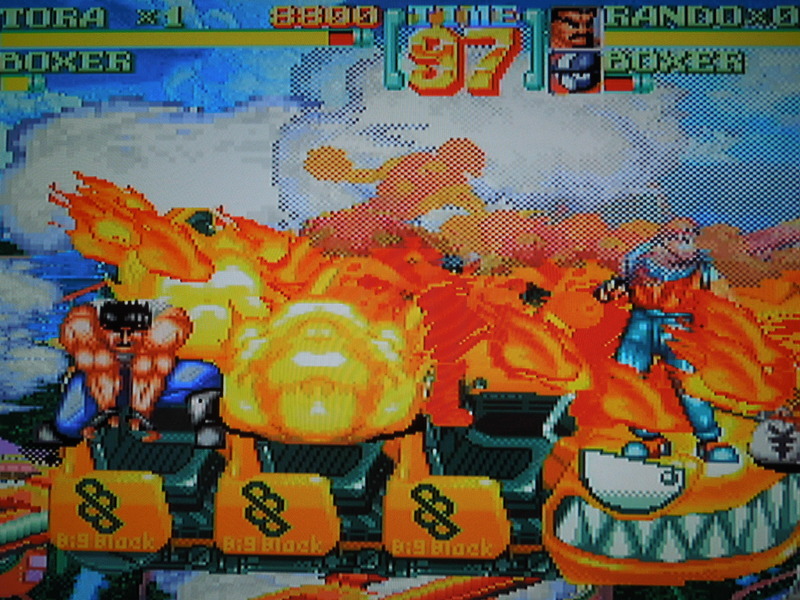 Comparatively, how does it stack up against a similiar game – say, Final Fight for the SNES? It’s not nearly as good or memorable. Still, it’s not bad – just not great. It is 2 player co-op, and that always helps, of course. Each character has a special attack that is nearly impossible for enemies to avoid. 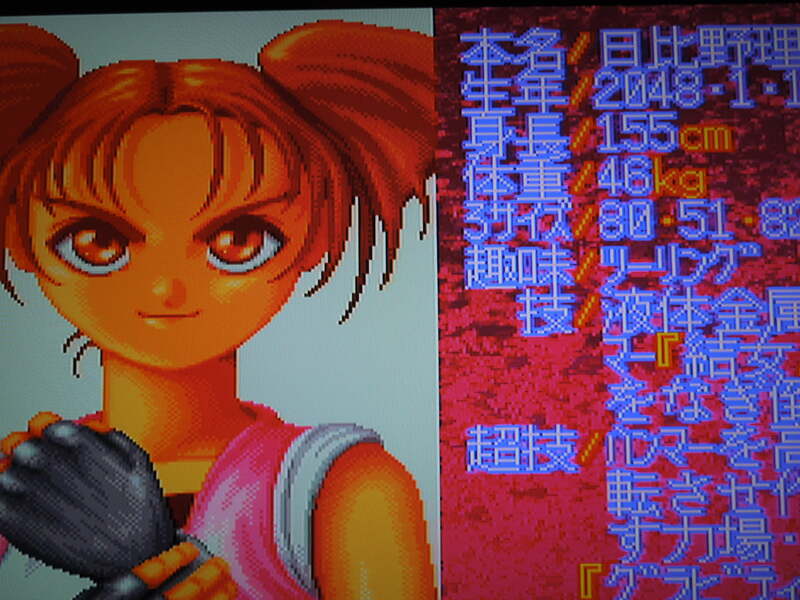 This entry was posted in Sega Saturn - Nekketsu Oyako and tagged Nekketsu Oyako Review (Sega Saturn). Bookmark the permalink.